The dictionary defines it as “a term of respect for someone who has financially and morally assisted in the community with good will,” and “because they play an important and active part in society or in the community.” But do we really believe that only people, the “someone” in the description, play an important and active part in the community? No, I think you will agree that the definition is too narrow and that there are businesses and organizations that admirably fit the definition through multiple owners and chief executive officers. One organization, in particular, comes to mind when you consider a pillar of the Beaver Dam community – the YMCA of Dodge County (the Y). 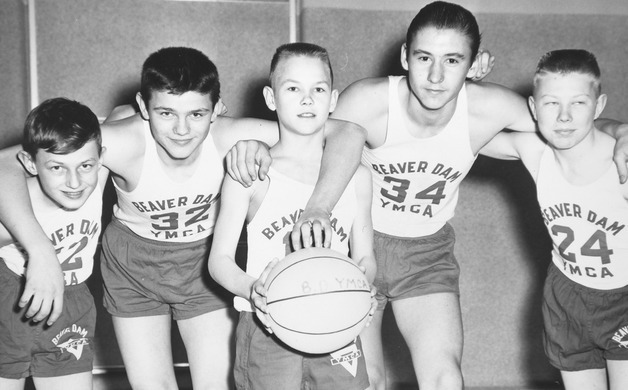 For nearly as long as there has been a Beaver Dam, the Y has been an integral part of the community. Although its look, mission and focus has evolved since it first took root in our city in 1893, there are very few citizens that can honestly say that the Y has not touched their lives in a positive way. Providing advanced workout facilities and teaching children to swim, providing childcare and health and wellness programs, and even holding babysitting and CPR classes, the Y admirably fits the pillar of the community description. The Young Men’s Christian Association (YMCA) began as an organization that provided support, Bible study, and prayer groups for young men that were flocking to London in the early 1840s. Industrialization had created the need for hard laborers; however, the rough and dangerous city streets were “chewing up and spitting out” the men coming in from rural areas, and it was George Williams that identified a vital need and aimed to fill it. Williams himself had been a farmer that had moved to the city and worked in a department store. Daily, he met and spoke with others who had come from farming backgrounds and now were either working up to 18 hours a day, seven days a week in horrendous conditions or starving because they had been injured and could no longer work. Williams created the YMCA to provide necessary support and comfort for these people and to facilitate communication across social class lines that were prevalent at the time. Once again, a small act of kindness was to shake the world. In 1851, a Boston sea captain, Thomas Valentine Sullivan, who had witnessed the effectiveness of the YMCA with his own eyes, opened the first Y in this country in the Old South Church of Boston on December 29. In 1853, a freed slave by the name of Anthony Bowen opened the first YMCA for Black Americans in Washington, D.C. The small flame Williams had lit in London was now spreading like wildfire. By now, you are probably wondering how the social leader YMCA became the athletic leader; the Y we know now. It started in 1869 when they built the first YMCA with a gymnasium. In 1891, James Naismith at the International YMCA Training School in Springfield, Massachusetts created basketball, and a few years later, William Morgan invented volleyball as he felt that basketball was too strenuous for businessmen. He called his game “mintonette” but they changed the name to volleyball in 1896 to better describe the action of the game. During this time, a growing YMCA movement sprang up on college campuses across the nation, including at a small campus known as the Beaver Dam Academy in 1893. This was a student-led, student-run organization that no doubt incorporated the passion for learning with the newly discovered benefits of physical exertion and formed the foundation for the 117-year history of the Y in Beaver Dam. Officially, the YMCA became a part of Beaver Dam in 1914 and found a “permanent” home in 1920 when T.L. Newton bequeathed his mansion at 117 Park Street to the Y.
T.L. Newton had come to Beaver Dam in 1856 from his home in Templeton, Massachusetts and began his career here as a clerk in A.P. Lawrence Grocery. Newton went on to open his own grocery the following year and then a general merchandise store in 1865 and became a pillar of the community in his own right after retiring and selling his store to his employees in 1900. Newton built a beautiful Victorian mansion for his family and on his death he willed it to the YMCA on the condition that the building was to be named after his deceased daughter, Meta. 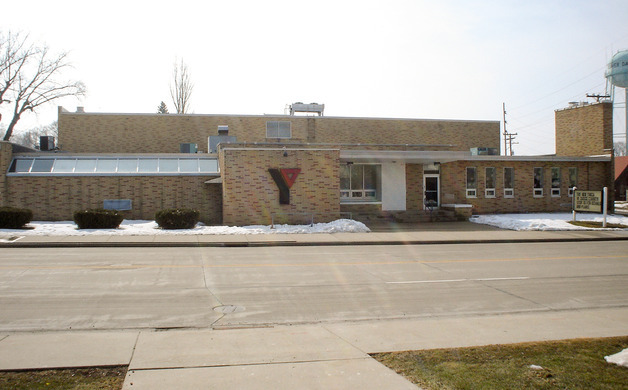 Though formally the Meta Newton Barber YMCA, most people called it the Beaver Dam YMCA until 2006 when it officially became the YMCA of Dodge County. 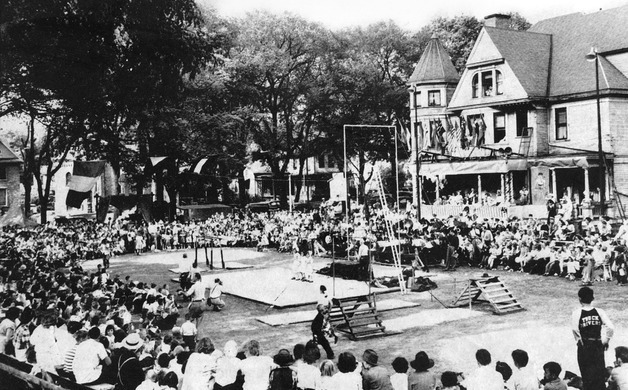 The YMCA replaced the Newton Mansion with a state-of-the-art physical education building in 1960. The building, which many still equate in our minds as the Y, served its purpose well until 2006, when the constraints of being centrally located on a city street without access to its own playing fields became all too apparent. By this time, the limitations of having to contract for field time with schools and parks really began to influence the number of activities the Y could offer. Flag football, soccer, T-ball and softball all needed field space the Y did not have. After nearly a half century, the YMCA building was no longer state-of-the-art and its ability to expand to meet the needs of an ever-growing population was extremely limited. Embracing the evolutionary spirit that had always driven leaders of the YMCA, in 2007 the Y moved from its downtown location to a wide-open area on Corporate Drive. Once again, the Y offered state of the art facilities to the residents of our community with ample room to grow in the future. Not only did the Y finally have its own playing fields for baseball, softball, flag football and soccer, but an Olympic pool and an indoor water park. The Y could now offer residents so much more than a gym with an uneven floor, a cramped basement workout room, and a pool not conducive to meeting the needs of both classes and open swim. 1) Youth Development: Nurturing the potential of every child and teen, the Y now offers highly rated pre-school and 4K classes to area children, not just daycare or child watch, but state licensed education. 2) Healthy Living: Improving the nation’s health and wellbeing; healthy living classes, flu shot clinics and free health screenings are just a few of the services the Y provides. 3) Social Responsibility: Giving back and providing support to our neighbors; the Y hosts quarterly blood drives, fundraising events such as triathlons, the Fitathon, and is a major sponsor of the yearly Children’s Radiothon. This makes sense when you realize that the Y no longer restricts itself to providing services to men, nor only to Christians. The YMCA of the USA proudly states that they provided services to 21 million men, women and children, regardless of race, religion, age, income or background, in more than 10,000 communities. But even as the Y grows and provides more physical activities for children, teens, and us adults who really need them, they are still providing services far beyond those of simply a gym. It was just announced that the Y, our Y, will not only manage the Waupun Family Aquatic Center, but will also be taking over management of the Waupun Senior Center and summer parks program. The Y also manages the aquatic centers in Fox Lake and Horicon, as well as managing recreational programs for the City of Horicon. These services serve the Y well, continuing their history of social service and community engagement that began the organization way back in 1844 across the Atlantic Ocean. For as long as anyone alive today in Beaver Dam has lived, the YMCA of Dodge County in Beaver Dam – the Meta Newton Barber YMCA, the Beaver Dam YMCA or just the Y – has been providing a safe place for our children to learn, play and grow, and for adults in our community to exercise, socialize and sometimes even be a kid again. If that is not the true definition of a Pillar of the Community, I don’t know what is.